Andrea Kelly, R. Kelly’s Ex – Divorced 2nd Hubby After Just 2 months of marriage? Have you all been watching Hollywood Exes? Another VH1 gem. *eye roll*. Andrea Kelly, R Kelly’s ex wife recently met Brian McKee and got engaged, whom she just introduced on the show. Apparently they had known each other for just few months before getting engaged. Andrea Kelly is actually my favorite on the show because she is down to earth, real, and very humorous! I feel that out of everyone, she is the most relatable. I do hope she finds real love again, because from what I’ve heard R-ah put her through he**… No woman deserves that. 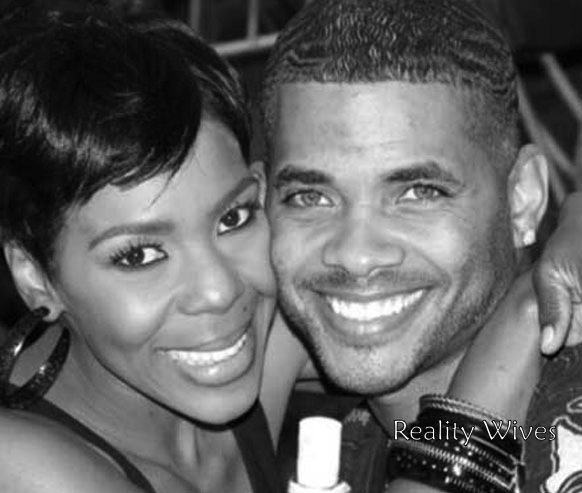 From S2S mag online: Some fans missed the memo that Andrea Kelly married barber/actor Brian McKee in March, but don’t worry; they’re already divorced. Rumors about trouble in their brief marriage started to swirl shortly after season 3 of “Hollywood Exes” premiered. Apparently, women who Brian was currently or had previously dated began sending Drea info about her hubby via social media. According to text messages, Brian had allegedly hit one woman up asking for financial support, listing his the reasons why he needed money. “I just got 3000 a month in bills with no job, car pmnt, student loans etc cell,” read the text allegedly sent by Brian. Jaylynn Umbleby and Drea exchanged Twitter messages on May 12 and Drea thanked Jaylynn for sharing the truth about Brian. Not long before Jaylynn’s revelation to Drea, the choreographer gushed about how Brian was the answer to her prayers. According to S2S sources, Drea has wasted no time ending the marriage and she’s now trying to move forward. Drea announces her engagement to Brian on “Hollywood Exes.” Watch. Damn! No sense in getting excited about their nuptials this season. Damn, no sense in getting all excited about their nuptials this season. This entry was posted on May 16, 2014 by Toiah in Everything you want.